The subjunctive mood is used primarily in dependent clauses. Of course, the subjunctive mood is used on other occasions as well, depending on the type of clause, the action/state involved, and its relationship to other elements in the sentences such as the governing verb. The subjunctive is usually used in dependent clauses introduced by que or another subordinating conjunction. Yo espero que a Juan le guste la música. I hope that John likes the music. Verbs of influence are used to express influence over actions that the subject would or would not like somebody else to do, but cannot directly control. querer, decir, pedir, insistir, preferir, recomendar, etc. El profesor quiere que tú hagas la tarea. The teacher wants you to do the homework. When the main clause expresses less than 100% certainty about the truth of a que-clause, the verb is in the subjunctive. pensar que, quizás, tal vez, no saber, no creer, dudar, negar, es posible, es probable, etc. The train will probably arrive late. Marcos doubts that the gardener will work today. Es posible que vayamos a la playa mañana. cuando, en cuanto, mientras, hasta, etc. I will speak to him when he returns. The subjunctive mood is used in a subordinate clause following the expression of an emotion or judgement. es necesario, es preciso, hace falta que, etc. It is necessary that you work. Use the Subjunctive in all direct commands for usted, ustedes, and nosotros and in negative commands for tú and vosotros. 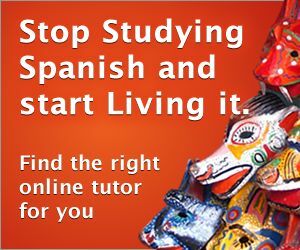 You can conjugate any verb in the Spanish language provided you know the infinitive. Start with the first person singular (yo-form) of the present indicative. 1. If this form does not end in an -o, the verb is irregular in the present subjunctive; memorize the forms. yo     tú    Ud./él/-la  nosotros   vosotros  Uds. 2. If the stem of the yo-form is exactly the same as the stem of the infinitive, the verb is regular; use this stem and attach the appropriate endings. yo     tú     Ud./él/-la  nosotros    vosotros  Uds. yo     tú      Ud./él/-la  nosotros vosotros Uds. yo      tú       Ud. nosotros  vosotros  Uds. yo      tú      Ud. nosotros   vosotros  Uds. Remember that compounds based on these verbs also have special yo-forms, e.g., reconocer, deshacer, proponer, conseguir, etc. yo      tú       Ud. nosotros  vosotros Uds. Aunque este mundo sea amargo, que tu noche sea dulce. Although this world may be bitter, that your night may be sweet. Quisiera que estés a mi lado cuando me despierte. I would like that you be at my side when I wake up. This is an example of coincidence or fate presented as the eventual cause of Romeo and Juliet’s love as Romeo says to the servant; “Ay mine own fortune in my misery” (Line 57) in reply to the servant’s question of whether he can read or not. As a result, poverty and lack of education are among the major factors associated with risky sexual behaviour. The highest inflation rate in Malaysia was in 1974 with 23.90 percent and the lowest was in 2009 with -2.40. Data regarding this topic had to be extracted from reading different reference books in relation to advertising, consumer behavior and brand awareness. It is this type of oil the one full of anti-microbial properties and it is also one of the most respected types of coconut oil in the market. Strong differences between the Filipino and Chinese immigrants' social integration in Barcelona were found with social networks playing different roles for each immigrant group. Starting from the beginning of the Age of Revolution, the United States Constitution written by Thomas Jefferson and the French Declaration of the Rights of Man and of the Citizen written by the National Assembly, rights were basic protections that citizens of countries were granted to have their own agency. From the basic micro needs to the diverse macro needs of man, everything he has done throughout history was to fulfill those needs, those consumerist based needs of food, shelter, security and stability. If I do not do this I will continually experience this pain because I will not be able to be of value in healing others and myself. This disaster debris management plan can help the community to identify and reduce the potential hazards. Buddha was born in Lumbini which is well known by the world, So Nepalese people follow both the religions Hinduism and Buddhism. Proactive individuals in the company should be rewarded and the organisation structure should support proactiveness through a recognition system. Rental residential properties, luxury condos, single-family homes and commercial space in the area don’t stay on the market long. This variation may be due to dynamic process on the earth and some of the external influences. In the end, the Enlightenment has shown that the political community is imperfect and deeply flawed. The exchange rate is not fixed as it is depend on the country’s economy performance and financial condition. Explain how your philosophy will inform your future teaching in an international school or help your internationalize your current curriculum. This is not a good thing because that means that forty-one percent of Americans aren’t practicing our right to popular sovereignty, and those people aren’t being heard. Thiophene is considered aromatic, although calculations suggest that the degree of aromaticity is less than that of benzene. It provides all the facilities pertaining to the borrowing and lending of medium and long term funds. The clockwork, driven by a water wheel, and fully enclosed within the tower, rotated an armillary sphere on the top platform and a celestial globe in the upper storey. Positive patient outcomes can greatly influence HCAHP scores in domains such as care transitions and responsiveness of hospital staff.